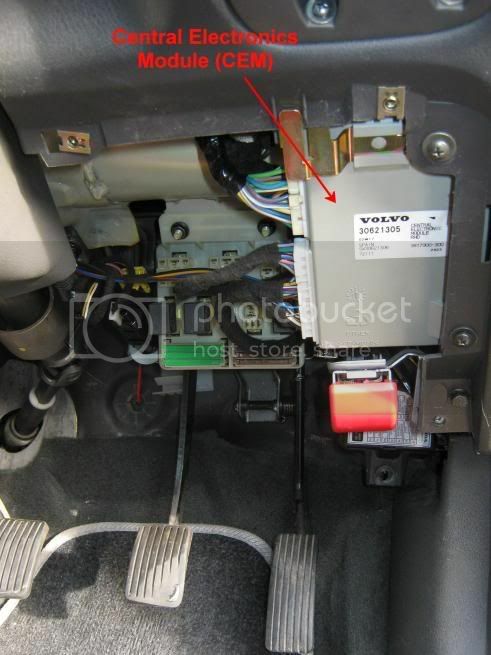 Hi, I've recently had a headlight problem which, at first, appeared to be the common CEM issue (see this thread http://www.volvoforums.org.uk/showthread.php?t=67437) but finally turned out to be a break in the wiring loom. However, while fault finding the problem I found out a bit about the CEM which I thought others could find useful in faulfinding their own headlight related issues. I've taken a few pictures to help with this. I have attached to this thread the Volvo wiring diagram for the CEM and headlights because the Haynes manual is worse than useless in this respect as it doesn't even show the CEM in their wiring diagrams. 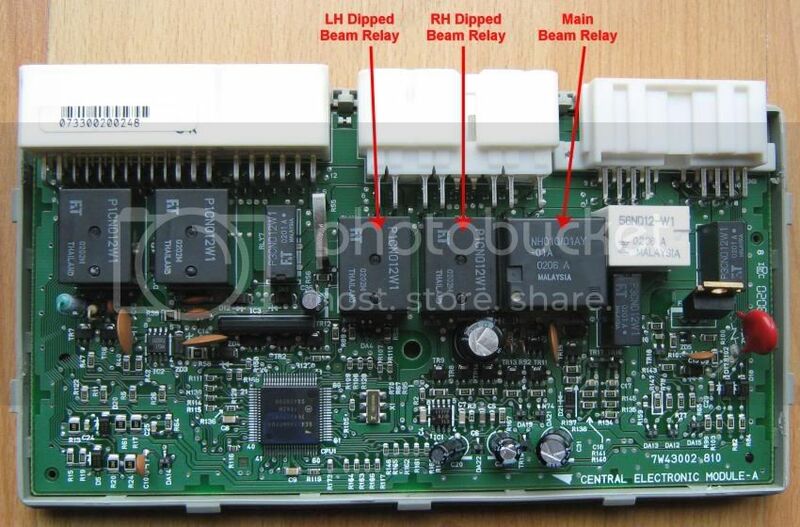 I have also attached the data sheet for the Fujitsu relays that are used for the headlight switching in the CEM. I originally assumed that they would be solid state relays but in fact they are normal miniature PCB mounting mechanical relays so it they do fail then the data sheet could help find a replacement to repair the CEM. Hopefully others will find this information useful as the CEM does appear to be a weak component with respect to headlight switching. Wow- thanks for the info. Always wondered how the headlights knew to dim when starting the engine - a clever box of tricks until it goes wrong. Think l'll be paying a trip to the scrappy before attemting repair of a CEM! Does anybody know anyone who can repair CEMs if they have a relay problem? But thanks for the post. O/S dipped head light not on (I use DRL's). Did the normal, changed the bulb, no joy. Checked the fuses, relays and had a look at the loom (under the radiator) with no fault found. Had the car in for some other work and they traced the defect to the CEM. Glad I was sitting down when the service guy rang me to give me the "good news" - along with the cost of a replacment new unit + labour for fault finding and replacement + (of course!) Darling's 15%! Of course the bloody light is working fine now! Agree that Haynes is as much use as a chocolate fire guard, but if I get a repeat of this fault I'll know where to look! Thanks for the post, headlight dip light doesn't work. trace the problem back to one of the relay in the CEM, VOLVO quote 400 plus for the whole CEM unit. Scrap yard 50 pounds. But you can also buy the Fujitsu relay as a component from sales@inelcohunter.co.uk. not too sure how much each relay cost, because i managed to repair the faulty relay (due to dry joint). I do agree that the Haynes manual is useless! Did someone know, which of this is the rear wiper relay?